Atypical ductal hyperplasia (ADH) is a breast lesion associated with a four- to five-fold increase in the risk of breast cancer. ADH is primarily found using mammography and identified on core needle biopsy. Despite multiple passes of the lesion during biopsy, only portions of the lesions are sampled. Other variable factors influence sampling and accuracy such that the presence of cancer may be underestimated by 10-45%. Currently, surgical removal is recommended for all ADH cases found on core needle biopsies to determine if the lesion is cancerous. About 20-30% of ADH cases are upgraded to cancer after surgical excision. However, this means that 70-80% of women undergo a costly and invasive surgical procedure for a benign (but high-risk) lesion. A Dartmouth research team led by Saeed Hassanpour, Ph.D., found a machine learning method to predict ADH upgrade to cancer. Having this information can potentially help clinicians and low-risk patients decide whether active surveillance and hormonal therapy is a reasonable alternative to surgical excision. Evaluation of the model showed that the team's machine learning approach can identify 98% of all malignant cases prior to surgery while sparing from surgery 16% of women who otherwise would have undergone an unnecessary operation for a benign lesion. Their results, Prediction of Atypical Ductal Hyperplasia Upgrades Through a Machine Learning Approach to Reduce Unnecessary Surgical Excisions has been recently published in JCO Clinical Cancer Informatics. "Our results suggest there are robust clinical differences between women at low versus high risk for ADH upgrade to cancer based on core needle biopsy data that allowed our machine learning model to reliably predict malignancy upgrades in our dataset," says Hassanpour. "This study also identified important clinical variables involved in ADH upgrade risk." Using surgical excision to rule out malignancy is not without harm as 70-80% of women undergo invasive surgical excision for benign ADH lesions. "Our model can potentially help patients and clinicians choose an alternative management approach in low-risk cases," says Hassanpour. "In the era of personalized medicine, such models can be desirable for patients who value a shared decision-making approach with the ability to choose between surgical excision for certainty versus surveillance to avoid cost, stress, and potential side effects in women at low risk for upgrade of ADH to cancer." 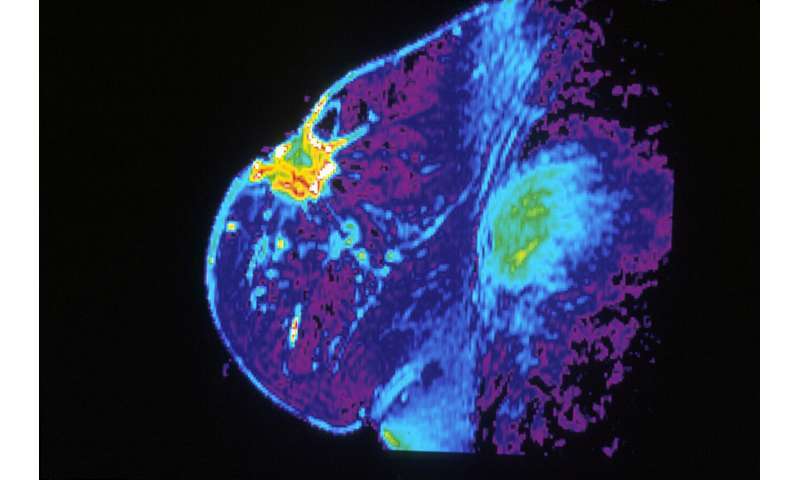 The team soon plans to expand the scope of their model by including other high-risk breast lesions such as lobular neoplasia, papillomas, and radial scars. They also plan on further validating their approach on large external datasets using state and national breast cancer registries, and collaborating with other medical centers.